Lukas Mjartan is a glass artist living and working in Slovakia. 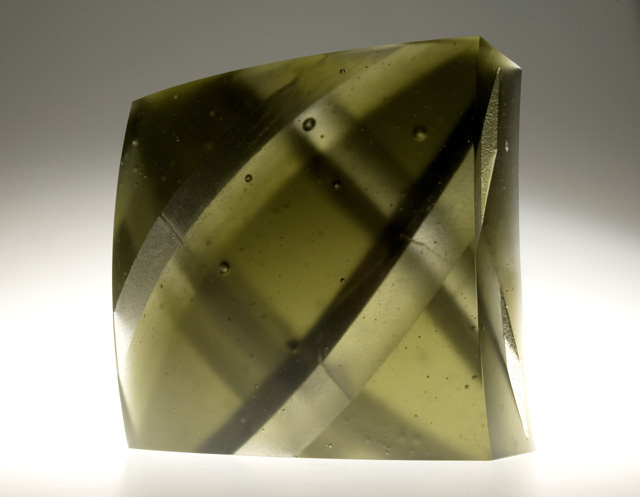 His major interest lies in kiln-formed glass, especially in cast glass. After his apprenticeship with renowned slovakian glass artists Zora and Stephan Pala, he began his own artistic practise. He has since developed distinctive sculptural language. He draws his inspiration from various architectural forms transforming them into contrasting rigid geometric shapes with structural, sometimes even rough gestural textures and elements. The light and the varying thickness of the glass mass play with the intensity of each colour he chooses for his works, thus creating expressive sculptural forms. Enjoy my glass gallery!